Good morning to everyone. Magandang umaga. Most of ​the laws we have passed are in support of MSMEs and I think the favorite of Joey and Sec. Mon and a lot of the people here is of course the Go Negosyo Act of 2014 that was passed to create infrastructure to help our MSMEs, to help them grow and develop with a program that really is directed for that goal. A lot of people here I’ve met before becoming a senator. A lot of them know that my work in microfinance and social enterprise has led me to develop some of these policies. And what you’ve seen is that most of our MSMEs will need what we call the 3 Ms – money, mentorship and market. We need the 3 Ms to create that enabling environment for them to be able to succeed and to be able to grow. Former President Arroyo talked about the first M which was money and definitely a lot of our MSMEs need that. We have a number of people here who own banks and who are part of banks, the medium and the large, I think these days are enjoying ​low​ interest rates. It’s your micro and small that need better interest rates, definitely opening up other forms of collateral or non-collateralized loans for them, or even a guarantee program which we have been talking about for years, is something that can truly help bridge that financing gap. That’s the first M. The second M, of course, is mentorship and a lot of work is being put now in DTI and the ASEAN in terms of mentorship. In fact, the AMEN network is really to put together mentors not only from ​your own country but to be able to access that from our countries in the region is also equally important. But the third M is the most crucial which is market. A lot of our MSMEs, a lot of our ​m​​icro​ and ​s​​mall do have good products, they do have a lot of potential but they aren’t able to access markets. This is something where when we talk about entering the global scene, are we ready, its all about accessing markets. Initially, or maybe one way to be able to do it, and DTI does a lot of this, is through trade fairs and through bringing you closer to retailers, which I think we’re doing a lot these days. The other one is digital which is to skip the traditional structures and go straight to the homes of consumers. But I think one aspect which we really need to focus on is really to open up inclusive supply chain, which is what ​the KAPATID program is really focusing on. The classic example of this, of course, is Jollibee where they opened up their produce to local farmers. And that’s a 10-year program already, which a lot of the companies here I think can get into. These days, our ability to help our intention to provide prosperity for all has shifted already from dole​outs and CSR budgets to truly one where the challenge is opening up our businesses to smaller businesses, to micro businesses and it’s not the easiest thing to do as this has been documented already. But it’s what we need to do. If we can do that within our country and eventually across the ASEAN, where your larger companies are able to get supply from smaller companies or even micro businesses supplying to small and medium, not just within the province or within the region but across the ASEAN. I think we’re really creating an infrastructure where prosperity can be spread for all. Government and non-government organizations can come in in terms of the readiness of your micro and small enterprises because not everyone is ready. In fact, I would say the majority will probably not be ready. So there’s readiness that we need to do both on the side of the large companies, which probably their foundations can do or groups like the Go Negosyo and the KAPATID program can do. But there’s also need, maybe this is where local government and the Department of Trade and Industry, through the Negosyo Centers, can come in, support our micro and small enterprises. Get them to a place where they can supply at a quality, frequency and rate that’s acceptable to the larger businesses with their larger supply chains. If these 3 Ms are present – capacity to get financing, the mentorship, which can be done either through government education institutions and partners, and the access to market, which can be done digitally, which can be done by bringing your products to retailers, and most importantly I think is opening up supply chains, then I think your enabling environment can truly be enabling and we can find success and growth that we want to see in this sector. 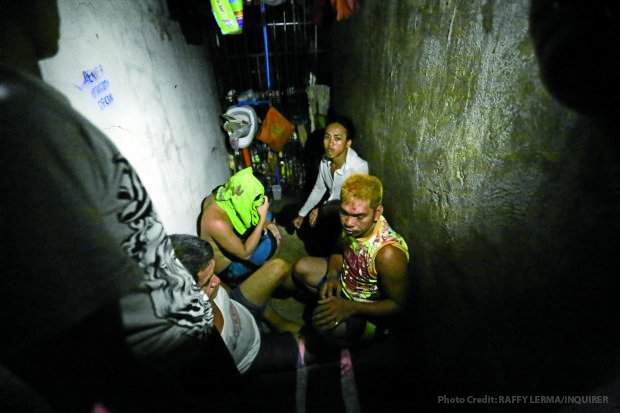 Sen. Bam Aquino urged the government not to treat with kid gloves erring policemen who were behind the secret jail cell discovered inside a police station in Manila, insisting that they should be held accountable for their actions. “Hindi katanggap-tanggap ang ganitong pagmamalabis. Kailangan itong maimbestigahan at matigil,” said Sen. Bam, referring to the clandestine jail cell uncovered by the Commission on Human Rights (CHR) inside the Raxabago police station in Tondo, Manila. Twelve people, who were arrested during anti-illegal drug operations, were found locked up inside the jail. “We have to be serious about making erring policemen accountable, otherwise these abuses will continue and even flourish,” added Sen. Bam. As the government’s enforcement arm in its war against illegal drugs, the Philippine National Police (PNP) should safeguard public’s trust by ensuring that scalawag policemen are punished accordingly. “Nakasalalay ang tiwala ng sambayanang Pilipino sa mga susunod na hakbang ng kapulisan. Kailangang paigtingin ang kampanya laban sa mga iskalawag na pulis at pang-aabuso,” said Sen. Bam. “If the administration’s priority is the drug war, then we need an upstanding police force. Transferring scalawag policemen to Basilan is not enough,” the senator emphasized, adding that “the rest of the world is watching closely and Filipino lives hang in the balance”. Hindi katanggap-tanggap ang ganitong pagmamalabis. Kailangan itong maimbestigahan at matigil. Nakasalalay ang tiwala ng sambayanang Pilipino sa mga susunod na hakbang ng kapulisan. Kailangang paigtingin ang kampanya laban sa mga iskalawag na pulis at pang-aabuso. If the administration’s priority is the drug war, then we need an upstanding police force. Transferring scalawag policemen to Basilan is not enough. We have to be serious about making erring policemen accountable, otherwise these abuses will continue and even flourish. The rest of the world is watching closely and Filipino lives hang in the balance. Let people choose their barangay and youth leaders. Sen. Bam Aquino issued this statement as he called for an extension for the voters registration of the Barangay and Sangguniang Kabataan (SK) elections, which is set to end on April 29. “Importante na ang mamamamayan ang pipili ng kanilang mga pinuno sa barangay at Sangguniang Kabataan,” said Sen. Bam. Sen. Bam stressed that government should investigate and prosecute barangay officials involved in the illegal drug trade and launch an information drive to help the people make an informed choice. “Huwag nating alisin sa ating mga kababayan ang karapatang mamili ng mga susunod na lider ng kanilang mga komunidad,” Sen. Bam stated. “While we are open to issuing a hold-over status for previously elected barangay officials, let’s make sure our SK elections push through,” he added. Sen. Bam maintained that the reforms passed under Republic Act No. 10742 or the SK Reform Act will go for naught if the SK elections will be postponed again. “Sayang naman ang mga reporma na pinagpaguran ng kabataan at mga mambabatas kung hindi na naman matutuloy ang SK elections,” Sen. Bam, who pushed for the law’s passage as co-author and co-sponsor in the 16th Congress during his time as chairman of the Committee on Youth. The SK Reform Act is the first legislation in the country with an anti-dynasty provision. It prohibits relatives of elected officials up to 2nd civil degree of consanguinity or affinity from seeking SK posts. The law adjusts age limit of SK officials from 15-17 to 18-24 years old, making them legally capable of entering into contracts and be held accountable and liable for their actions. The law also requires SK officials to undergo leadership training programs to expose them to the best practices in governance and guide their development as leaders. A senator affirmed that all students in state colleges and universities (SUCS) stand to benefit from Senate Bill No. 1304 or the Affordable Higher Education for All Act once it is enacted into law. “We commend the Commission on Higher Education (CHED) for coming out with the Implementing Rules and Regulations (IRR) for the allotted budget. But our priority remains to be the passage of the Affordable Higher Education for All Act so all students in SUCs are provided free tuition,” said Sen. Bam. Sen. Bam was referring to the IRR jointly issued by CHED and DBM in connection with the P8 billion earmarked in the 2017 budget for the free tuition fees in SUCs. The senator stated that under the currently allotted budget, only around half of the students in SUCs stand to benefit from free tuition. But once Senate Bill No. 1304 is passed into law, every SUC student can avail of free tuition. 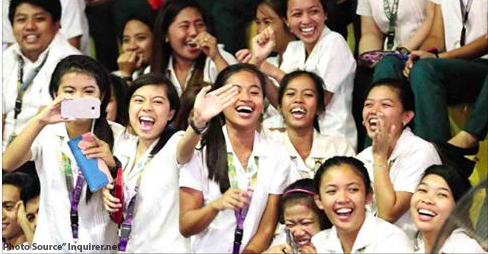 There will also be a mechanism for more financially-abled students to opt to pay for their tuition fee. “May mga pagkakaiba ang panukala kumpara sa inilabas na IRR ukol sa paggamit ng inilaang pondo,” said Sen. Bam. “We’re hoping to file a resolution and invite CHED to give the Senate a full briefing of the IRR. Kailangan klaro ito sa publiko, lalo na sa mga estudyante at kanilang mga magulang,” Sen. Bam announced. “More importantly, we must ensure the passage of the Affordable Higher Education for All Act in Congress, so that all students in SUCs can avail of free tuition,” he added. During his eight-month tenure as Committee on Education chairman, Sen. Bam pushed for the passage of the Affordable Higher Education for All Act or Senate Bill No. 1304 as principal sponsor and co-author. The measure was approved by the Senate on third and final reading via an 18-0 vote. After the House passes its own version of the bill, a bicameral conference committee will be held to consolidate both versions. If the final version is ratified by both Houses, it will be transmitted to Malacanang for the President’s approval. “In 1988, secondary education was made free. Now we have the opportunity to pass another major reform – to make tuition free in our state universities and colleges,” Sen. Bam asserted. Mga kanegosyo, ga­ya nang aking naipangako, itutuloy natin ang kuwento ni Aling Almira Beltran, na aking nakilala nang bumisita ako sa Negosyo Center sa Cabanatuan City kamakailan. Ang karanasan ni Aling Almira ay magandang inpirasyon para sa mga kababayan nating nais magsimula ng negosyo. Napagtagumpayan ni Aling Almira ang ma­tinding dagok sa ­kanyang buhay at ngayo’y isa nang may-ari ng matagumpay na Almira’s Beads Work na nakabase sa San Jose, Nueva Ecija. Habang ­nagtatrabaho sa bilangguan, ­kumita si Aling Almira ng 150 ­riyals bilang allowance para sa kanyang mga pa­ngangailangan. Sa kan­yang pagsisikap, naka­ipon siya ng 1,700 riyals na katumbas ng P23,500 noon. Makalipas ang wa­long buwang pag­kabilanggo, nabigyan ng par­don si Aling ­Almira at nagbalik sa ­Pilipinas noong February 24, 2016. Agad siyang nagtu­ngo sa OWWA upang ipaalam ang nangyari sa kanya sa Riyadh. Nakuha naman niya ang isang buwang suweldo mula sa OWWA na nagkakaha­laga ng P15,000. Ginamit niya ang ipon para buhayin ang kanyang negosyong bea­ded bags. Namili siya ng sampung libong ­pisong halaga ng mater­yales sa Quiapo at kumuha ng hu­lugang ­sewing machine. Nabalitaan ni Aling Almira na may bubuksang Pasalubong Center sa San Jose kaya agad siyang lumapit kay Darmo Escuadro, Tourism ­Officer ng siyudad, upang malaman ang requirements para makapag-display siya ng mga produkto sa Center. Kasabay nito, ­lumapit si Aling Almira sa ­Negosyo Center sa siyudad noong July 28, 2016 para magparehistro ng business name at iba pang dokumento tulad ng Mayor’s Permit at BIR registration. Dahil kumpleto na sa papeles, nakapag-display na si Aling Almira ng mga produkto sa Pasalubong Center at nakasama pa sa ilang trade fair ng DTI sa lalawigan. Noong August 10, 2016, kumita si Aling Almira ng P6,140 sa Gatas ng Kalabaw Trade Fair sa San Jose City. Sumali rin siya sa Diskuwento Caravan ng DTI at kumita ng P4,440. Sa anim na araw na trade fair sa Science City of Munoz, nakapag-uwi si Aling Almira ng P9,955. Noong Nobyembre ng nakaraang taon, kumita siya ng kabuuang P22,980. Maliban sa pagpaparehistro at pagpapakilala ng kanyang produkto sa merkado, tinulungan din ng Negosyo Center si Aling Almira na ­lumago ang kaalaman sa pag­ne­negosyo. Inimbitahan siya sa iba’t ibang seminar na tumatalakay sa iba’t ibang aspeto ng pagnenegosyo, tulad ng Effective Business Negotiation and Selling Technique, Pro­duct Development, Simple Bookkeeping, Business Continuity Planning at Personal Finance. Sa tulong ng Negosyo Center, nagkaroon si Aling Almira ng bagong lakas upang ipursige ang kanyang pangarap na magkaroon ng sa­riling negosyo. Sa nga­yon, pinag-aaralan na ni Aling Almira kung paano maibebenta ang kanyang produkto sa ibang bansa. Ang Republic Act No. 10644 o Go Negosyo Act ang kauna-una­han kong batas bilang senador noong 16th Congress. 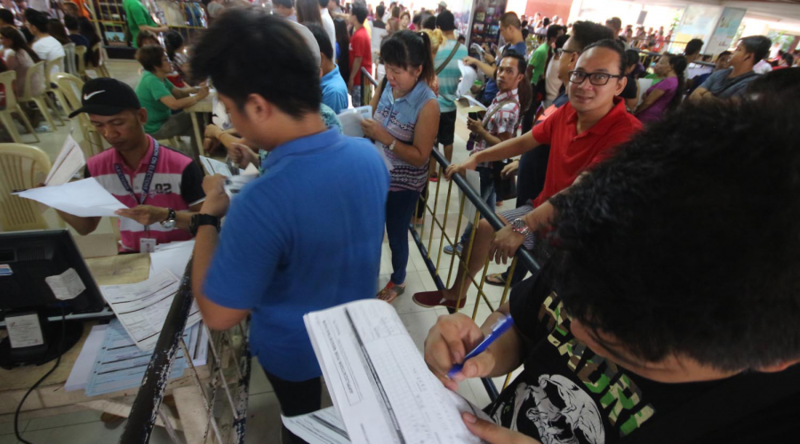 Layunin nitong mag­lagay ng Negosyo Center sa bawat munisipalidad, siyudad at lalawigan sa buong bansa upang suportahan ang mga Pilipino na nais magsimula ng sariling negosyo o tulungang mapalaki ang kasalukuyan nilang negosyo. A senator wants to ensure if scientific data gathered by the Philippine Institute of Volcanology and Seismology (PHIVOLCS) is effectively disseminated to allay fears and combat the prevalence of false information online and better prepare communities in the occurrence of destructive tremors. In Senate Resolution No. 343, Sen. Bam Aquino stressed the importance of proper use and dissemination of information to enhance capacity of government agencies, local government units and communities to mitigate, respond and recover from the damaging effects of earthquakes. “Scientific data gathered by PHIVOLCS is crucial in the mitigation, preparedness and response to the hazards and impacts of earthquakes,” Sen. Bam pointed out. After a series of earthquakes rocked different parts of the country recently, false and misleading information have circulated online predicting the exact date and location of the “Big One”, instilling panic among the citizenry. “Other articles and posts circulated online tell of signs of impending disasters related to the stranding of animals in local shorelines. There have also been articles circulated that present contradictory safety tips in case of earthquakes and disasters,” Sen. Bam said. 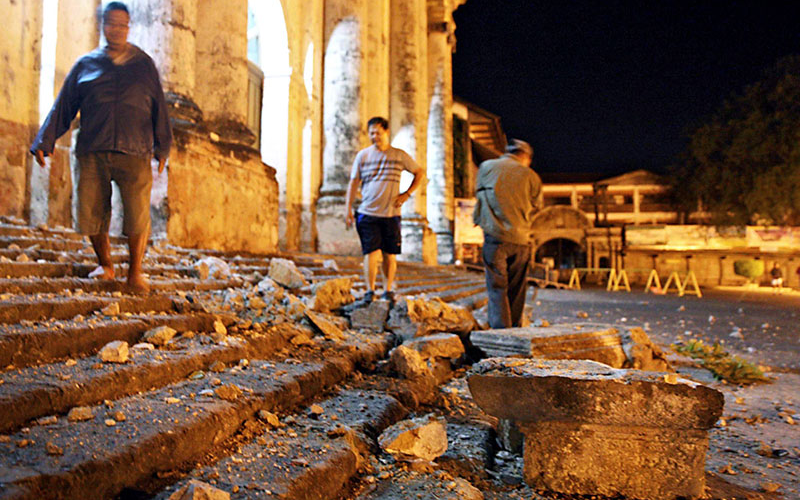 In April, 11 earthquakes of at least 5.0 magnitude rocked different parts of the country, including Batangas, Lanao del Sur and Davao. After the series of tremors, PHIVOLCS immediately installed earthquake monitoring equipment in Wao, Lanao del Norte. In February, the agency also put up monitoring equipment in Dinagat Island to enhance its observation capabilities on earth movement. Currently, PHIVOLCS operates and maintains a network of 93 seismic stations spread across the Philippines. Data from the seismic stations are used to determine the location and characteristics of earthquakes. A senator welcomed the inclusion of esports in the Asian Games, saying it will provide Filipinos another venue to showcase their skills and excel in the international stage as they compete for the country’s flag and honor. “The inclusion of esports in the prestigious Asian Games will give Filipino esports athletes opportunity to showcase their talent and bring honor to the Philippines,” said Sen. Bam Aquino, an ardent supporter of local esports and video game development industry in the country. With the addition of esports in the Asian Games, Sen. Bam said Filipino esports talents will now be recognized as legitimate athletes and entitled to financial and other forms of support from the government, like traditional athletes who compete in international events. “With this development, we expect the government to fully support our Filipino cyber athletes as they hone their skills through training and participation in local and international events,” said Sen. Bam, chairman of the Committee on Science and Technology. “Also, the inclusion will eventually correct the public’s negative perception about esports, especially if they properly managed and given guidance by the government,” he added. 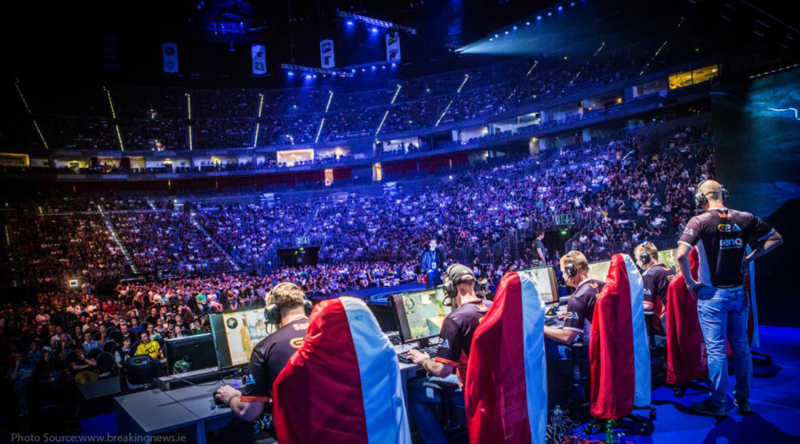 The Olympic Council of Asia (OCA) announced that esports will be a demonstration sport at the 2018 Asian Games in Jakarta and Palembang, Indonesia. In 2022, esports will be an official medal event at the 2022 Hangzhou Games. With Sen. Bam’s help, the Philippine esports Association (PeSPA) was formed to strengthen the foundation of esports in the country. Also, it was established to look after the welfare of cyber athletes and stakeholders and the promotion of esports in the country. Sen. Bam was also selected as PeSPA’s honorary chairman. Sen. Bam has been supporting Filipino esports athletes, who have excelled in previous international events, including the prestigious International DOTA 2 Championship event in Seattle where Filipino squad TNC finished eighth. The lawmaker also supports the video game development industry in the Philippines because of its potential to create fresh employment opportunities for Filipinos.